Here it is again, for the 9th year in a row, our special Susan Branch Christmas Ornament, our 2016 Collector's Edition is just in. We make only enough for our own Girlfriends (until they run out); they're not for sale anywhere else but on Susan's blog. The ornament is handmade in the USA, 2" inches, with sparkly beveled glass on both sides (click above on "more images" to see the backside), framed in hammered silver metal, and tied with a red and white checked ribbon. 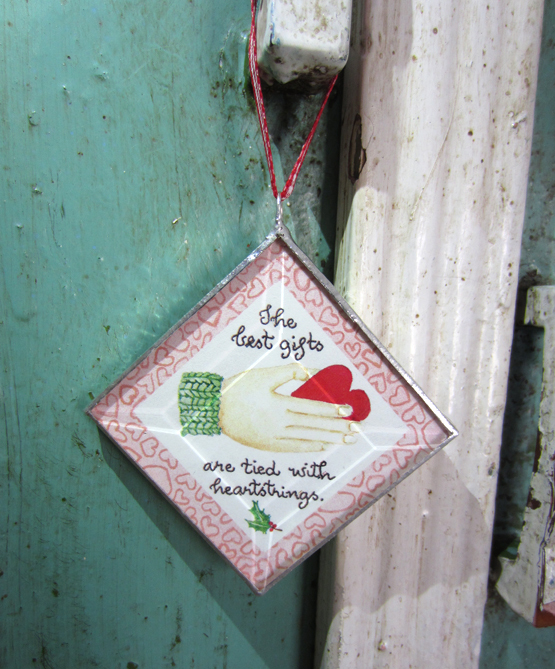 Give one to your friend, hang them on your tree, on a cupboard doorknob, or on your wreath.